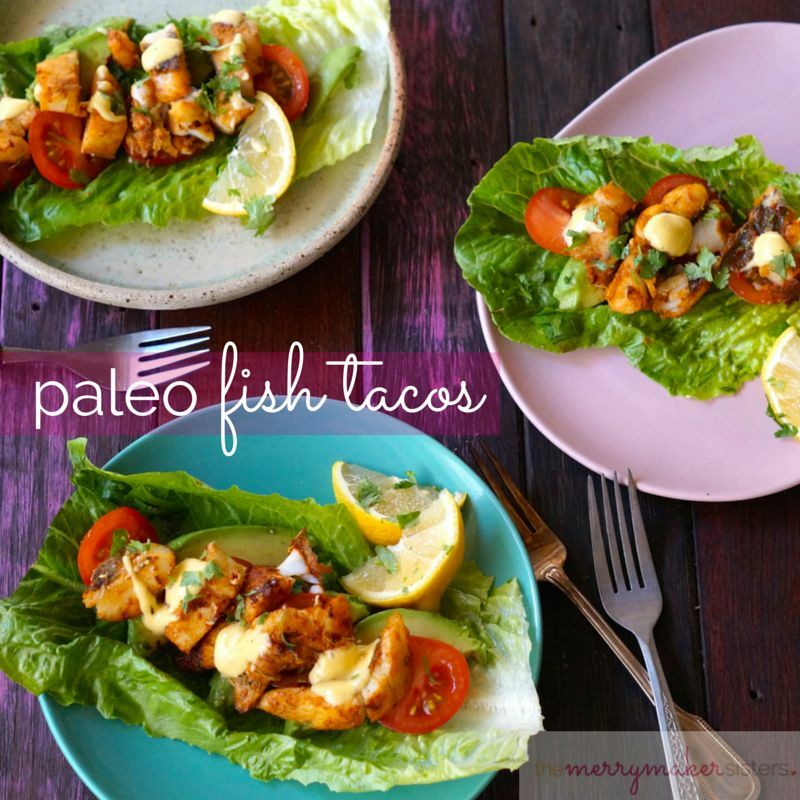 These Paleo Fish Tacos are so freaking yummy! The perfect meal if you’re looking to up your weekly fish intake and another great meal we’ve added to our Whole30! We were inspired to make these yummy paleo fish tacos from the I Quit Sugar program. We said good bye to the corn and tortillas to make them 100% paleo and we also added homemade paleo aioli (no reasoning required). Hope you love the recipe as much as us, pretty sure they’re going to make a regular appearance on our weekly meal plan! P.s. don’t forget to share your merrymaker foodie pics on social media! Use #themerrymakersisters so we don’t miss it! Toss fish in macadamia oil, spices and salt and allow to marinate for 10 minutes. Meanwhile, prepare the cos lettuce leaves and other toppings. Back to the fish! Heat a fry pan over medium-high heat with a little macadamia oil. Add the fish pieces and cook for 2-3 minutes or until just cooked through. 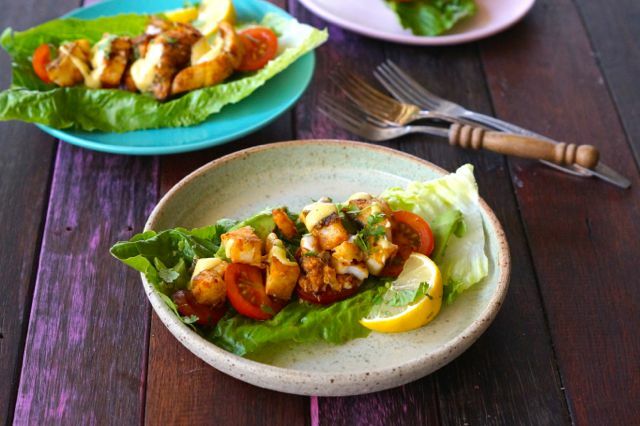 To make, place cos lettuce on plates followed by avocado, coriander, tomato and finally the fish. We topped ours with homemade paleo aioli. Talk about YUM!